I have had the most amazing summer this year and I am so so grateful! From being live on British Muslim TV, to writing a piece for Stylist Magazine to finishing university and graduating! Shortly after graduation, it was finally time for my three week trip to Southeast Asia woohooo. We went to Singapore, Malaysia and Thailand and had an incredible time. 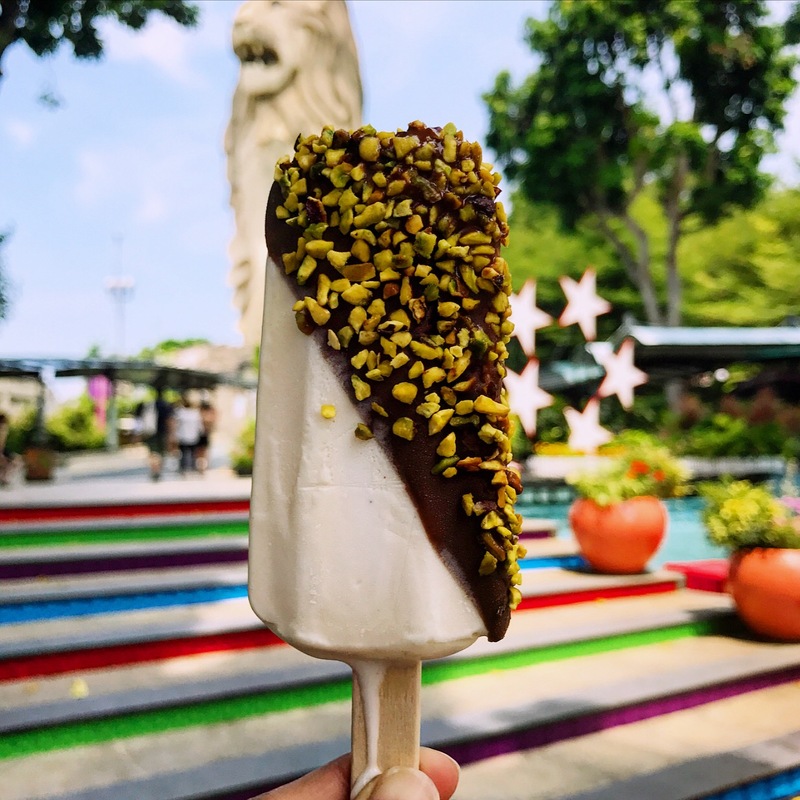 In this post you’ll read all about my time in Singapore, but stay tuned for Malaysia and Thailand soon! On the 25th July, we boarded a 13 hour flight to Changi Airport, Singapore. I need to tell you that this is possibly the best airport ever. It has a cinema, a swimming spool, a jacuzzi, a slide and an orchid garden to name a few. If you’re ever having a stopover… you know where to go! 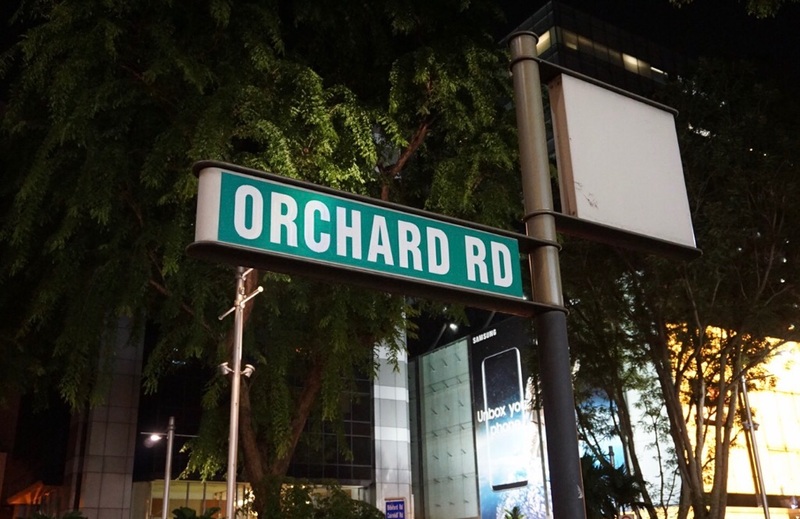 We stayed at the Orchard Hotel, on the famous Orchard Road. It was in a great location, however the service was not amazing and they even made a mistake with our rooms. Not a great start to our holiday. Although… we did get some complimentary drinks and food which made up for it (kind of). 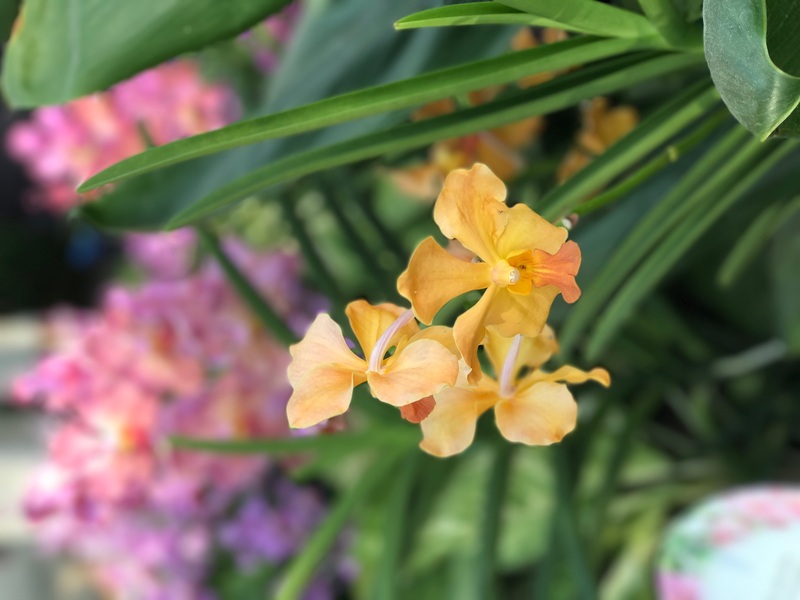 First stop was at Gardens by the Bay which is one of the most magical and beautiful places I have ever seen. 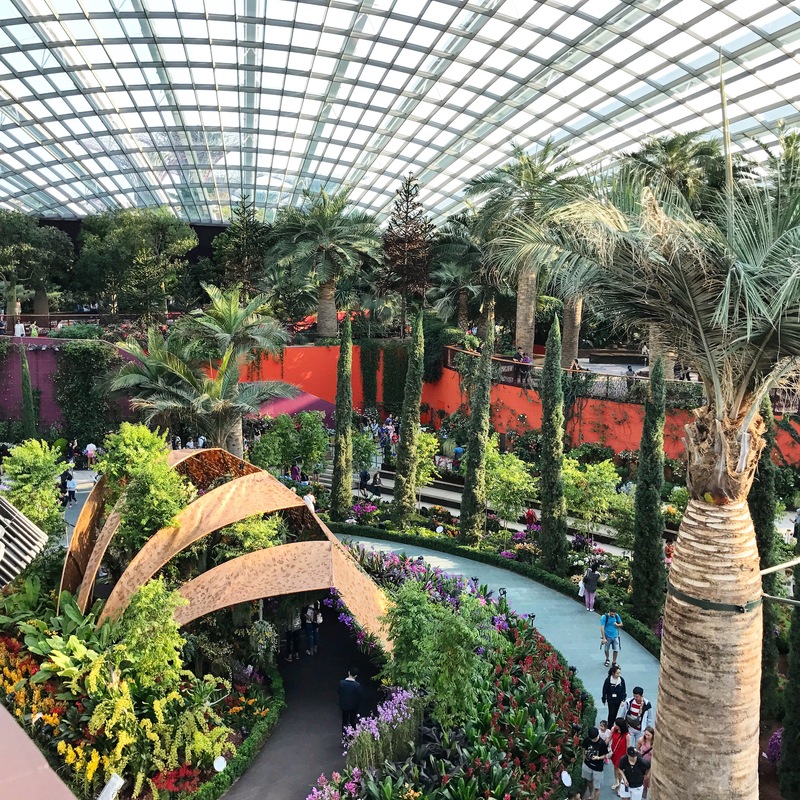 It has numerous attractions such as the Flower Dome which is filled with over a million plants from all over the world. 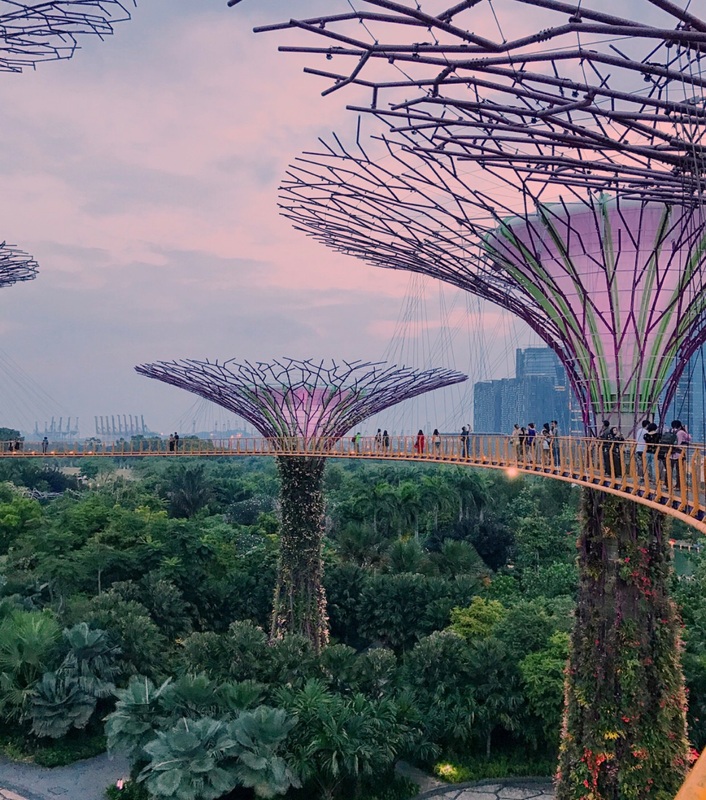 My favourite was the Supertree Grove where we got an amazing view of Singapore. Come here in the evening too for their famous light show! FOOD: Don’t forget to try McDonald’s which is situated at the entrance. 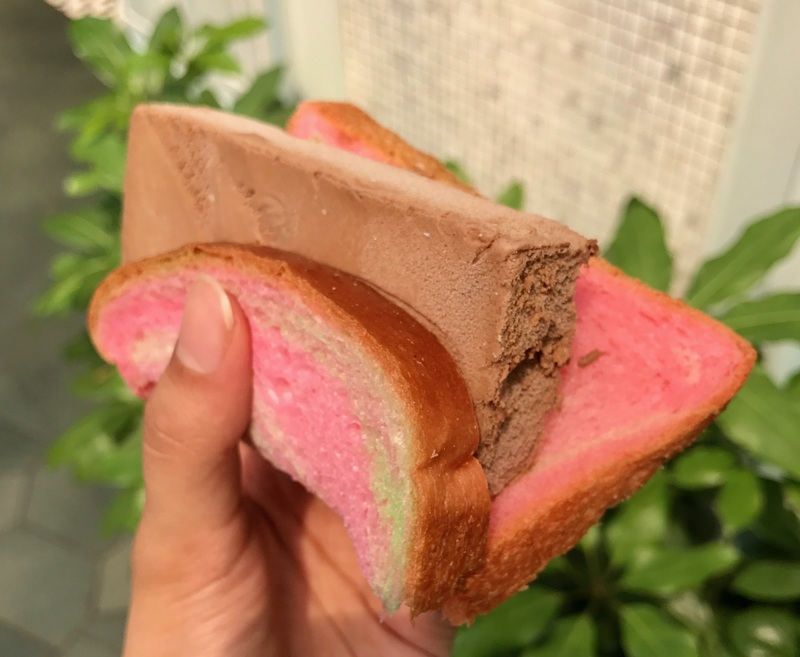 I know it sounds boring but it’s halal and they do a nasi lemak burger and cendol ice cream! 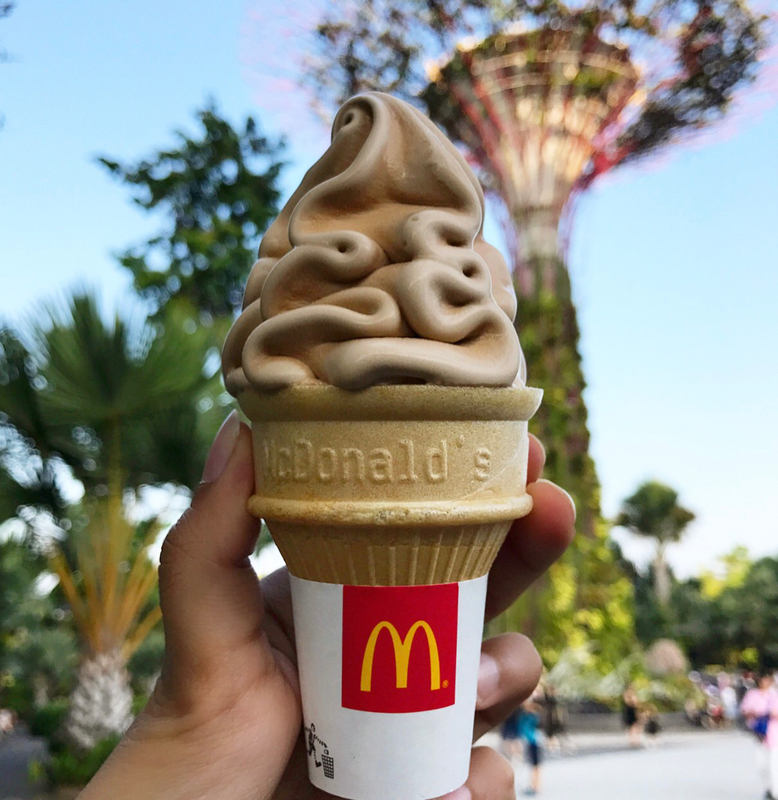 We ended up having the ice cream every evening in Singapore. 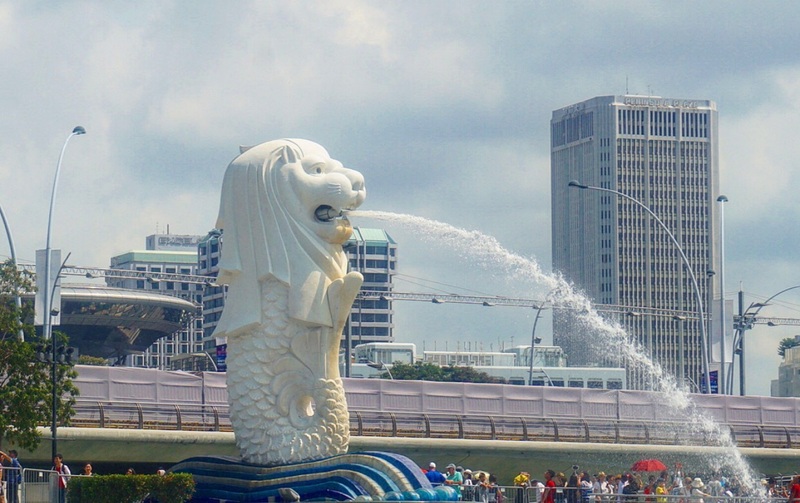 Hop on a boat at Clark Quay and take a river cruise where you’ll spot some famous sites such as the Marina Bay Sands Hotel and the Merlion. 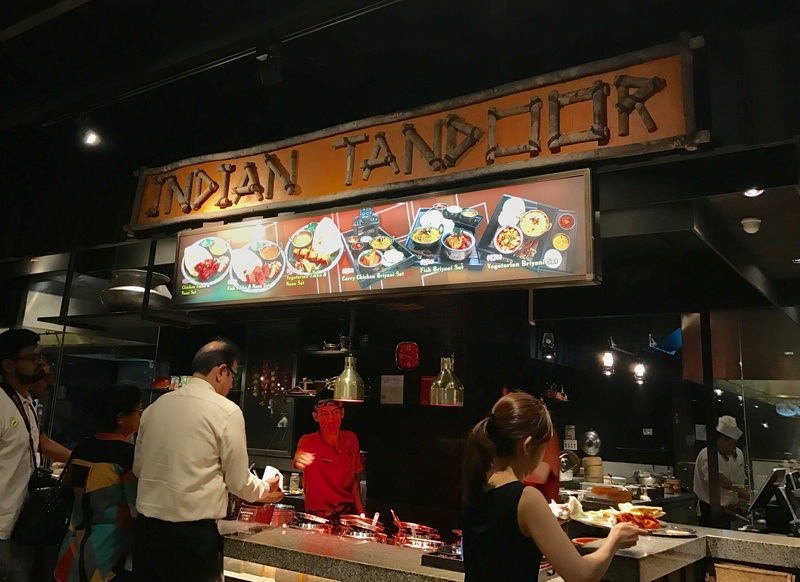 FOOD: We didn’t eat at Clark Quay but there’s a lot of restaurants there! I’d suggest going in the evening as the atmosphere is meant to be great. Hop on a tram that takes you around 6 geographical zones of the world and keep an eye out for all the animals. Walking trails are also available. FOOD: There are a lot of restaurants here. It was a little confusing to figure out which ones were halal as people were saying different things. 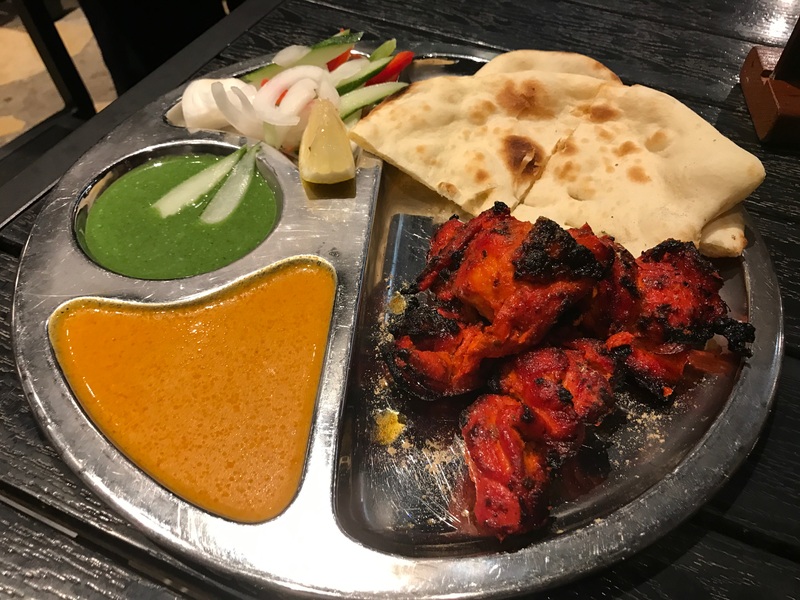 We opted for Indian food as they had a halal certificate! As soon as you step foot in Chinatown, you’ll be greeted with the fragrant smell of traditional cuisine. 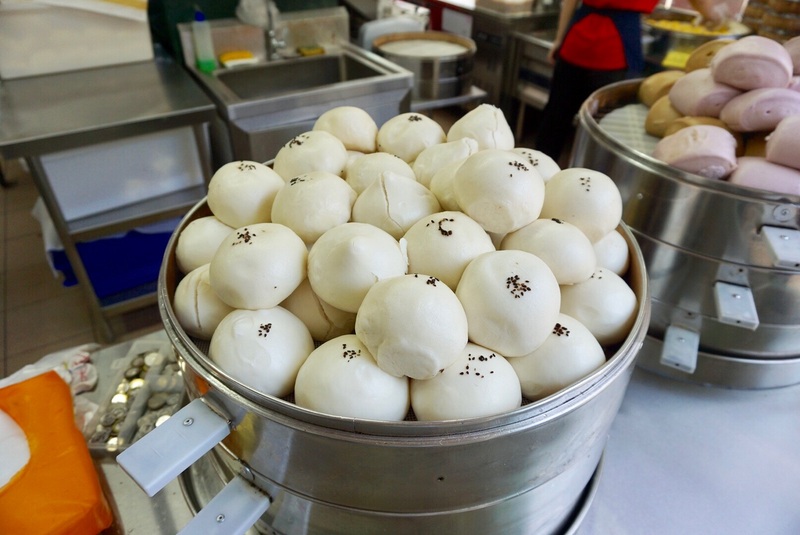 FOOD: Make sure you try out the famous buns filled with pandan and taro from the street stalls. Be aware that some stalls will sell non-halal meat products too. 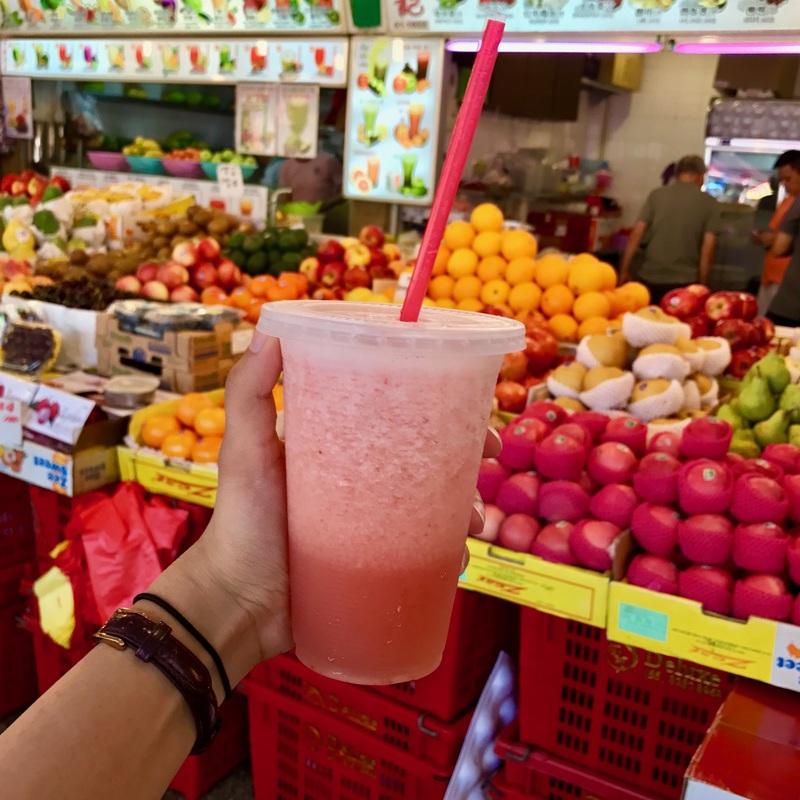 Grab a fresh juice too but make sure to ask for it without sugar syrup (unless you like it)! 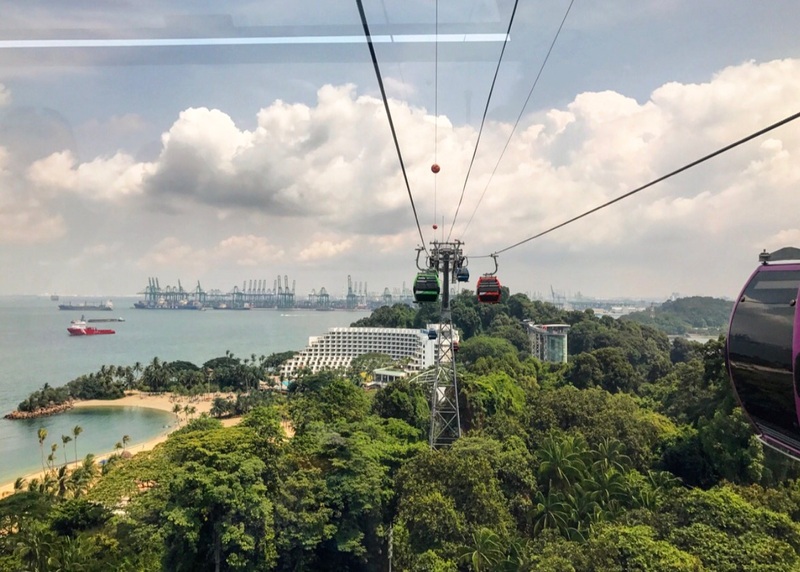 Sentosa Island is a whole new world in itself. Here you’ll find a beach, Universal Studios, cable cars, Madame Tussauds, an aquarium, two golf courses and much more! 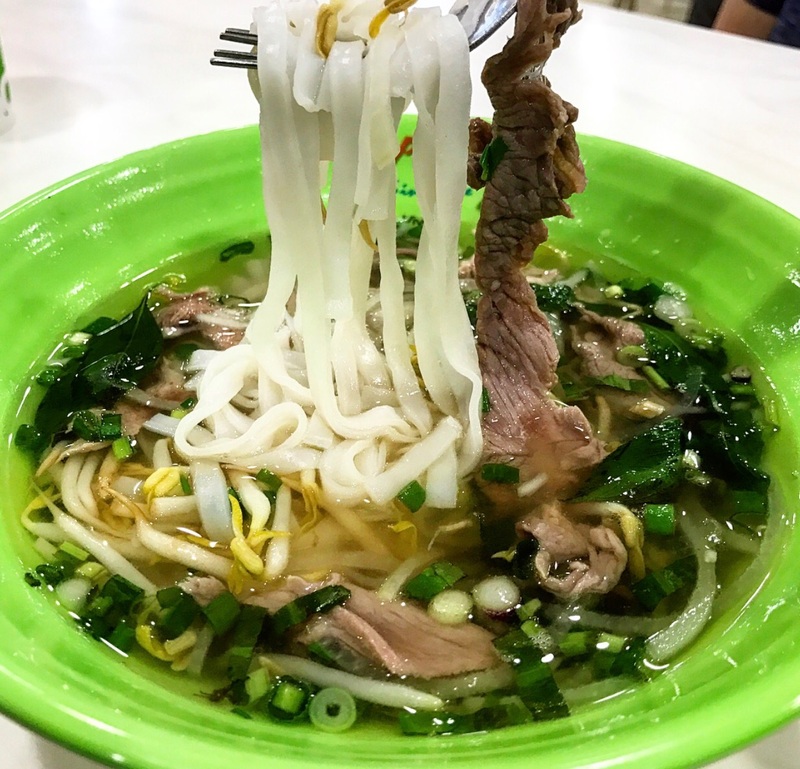 Just outside Sentosa you’ll find Kopitiam food court at Vivo City. They have an immense amount of halal options so we ended up here for lunch! 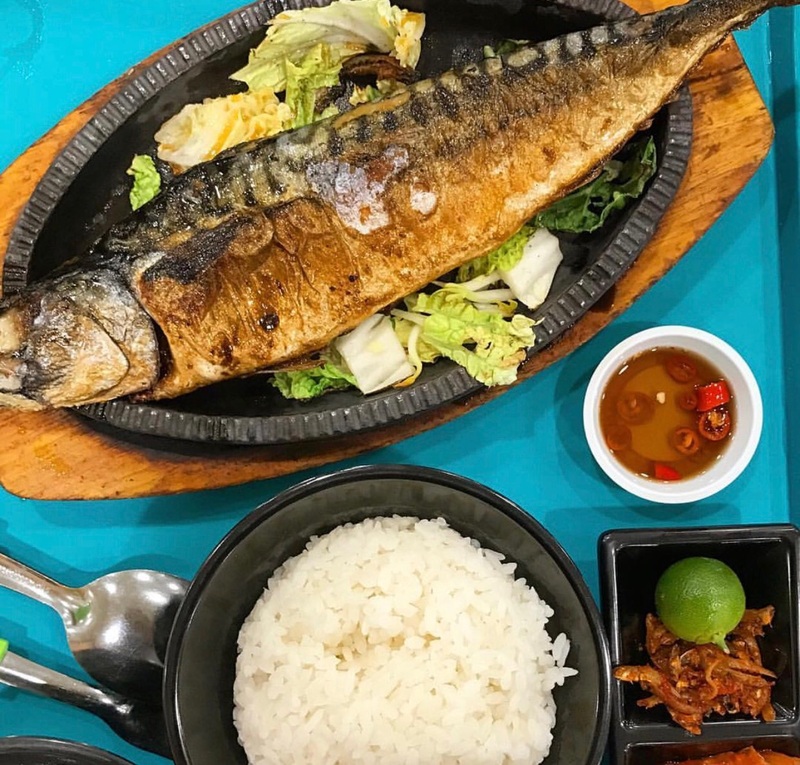 Saba fish set served with rice, anchovies and kimchi. 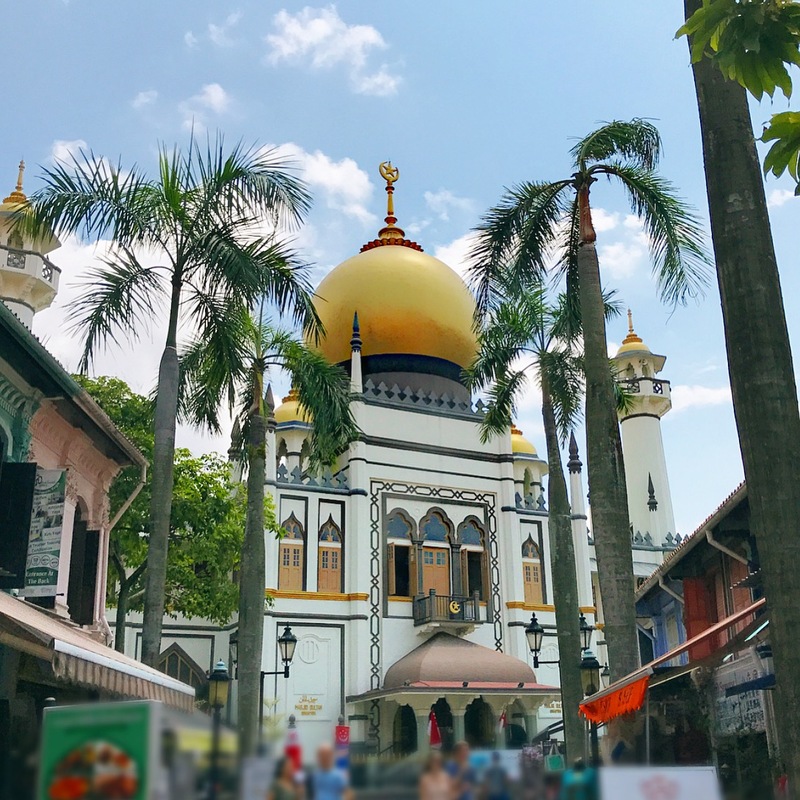 Arab St is home to the beautiful Sultan Mosque which is a must see! One of my followers pointed out that it could be Jasmine’s palace from Aladdin and I couldn’t agree more! FOOD: On surrounding streets you’ll find lots of Middle Eastern restaurants and cute cafes. 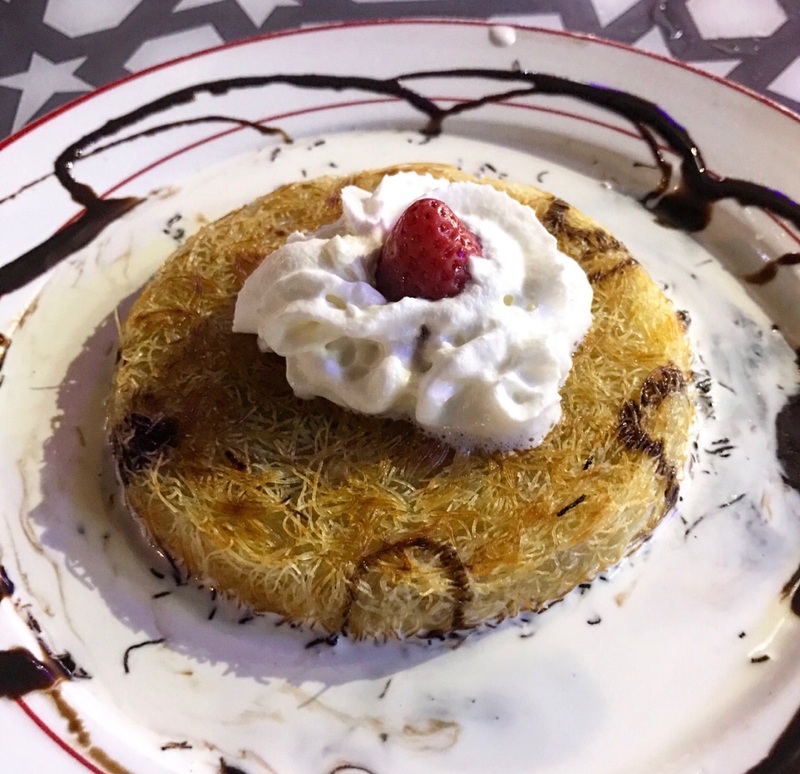 We visited Mak Doner, a Lebanese restaurant which had average mains but the best knafeh ever!! It was served in a pool of cream and chocolate which was unique to me and sooo delicious! Working Title is a burger joint round the corner from Sultan Mosque. 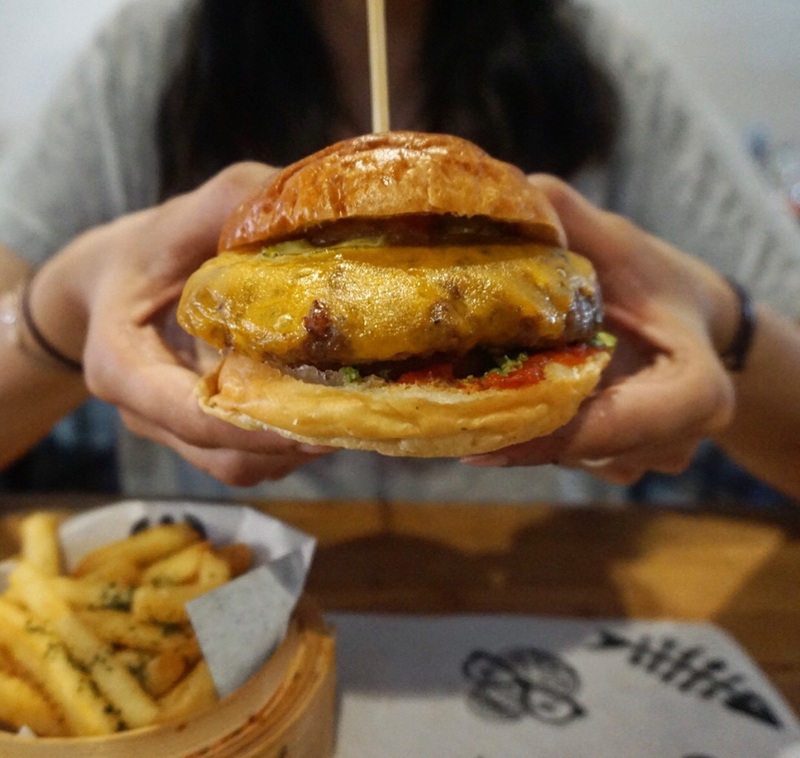 I was told they serve the best burgers in Singapore and couldn’t stop raving about it to my family. Unfortunately, it ended up being the worst meal we’d had *sigh*. My family weren’t to keen on trusting me after that ha! 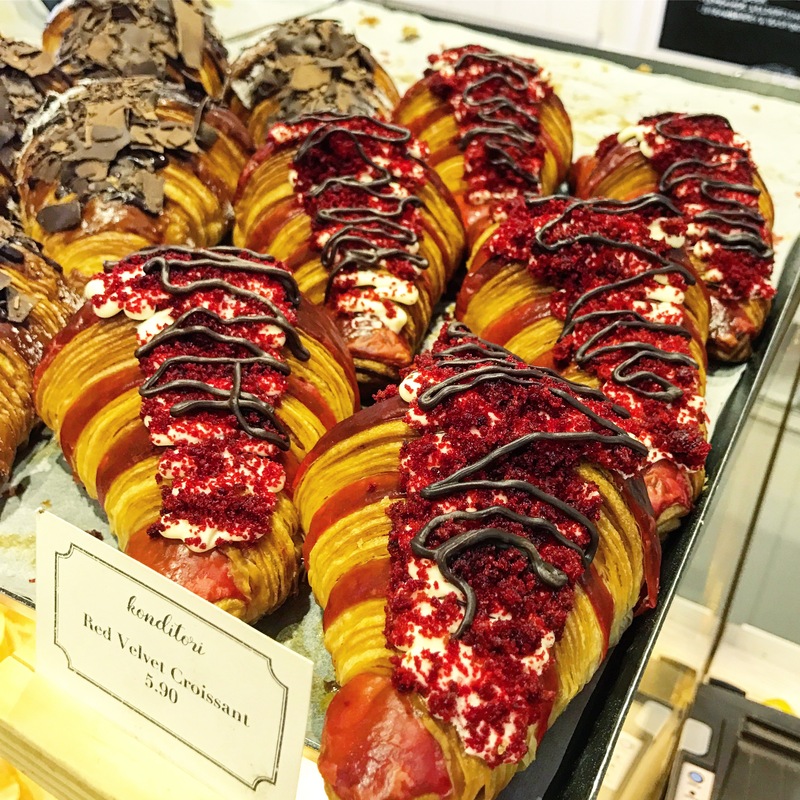 Nearby on Bussorah St, you’ll find Konditori – a European artisan bakery selling delicious pastries and sweet treats. I’d also recommend trying murtabak at Zam Zam restaurant just behind Sultan Mosque. 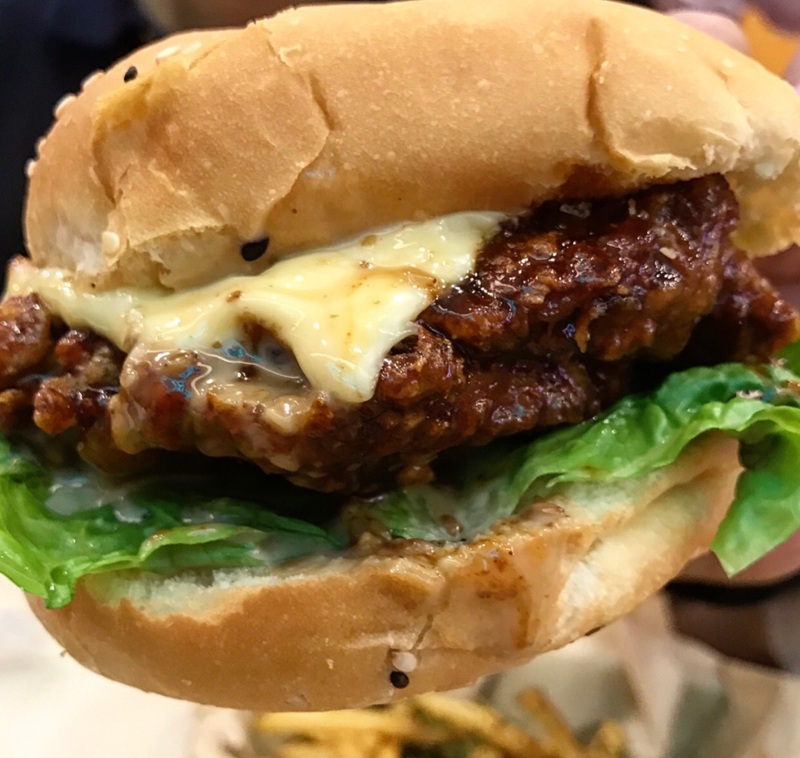 Epic Korean fried chicken burger! 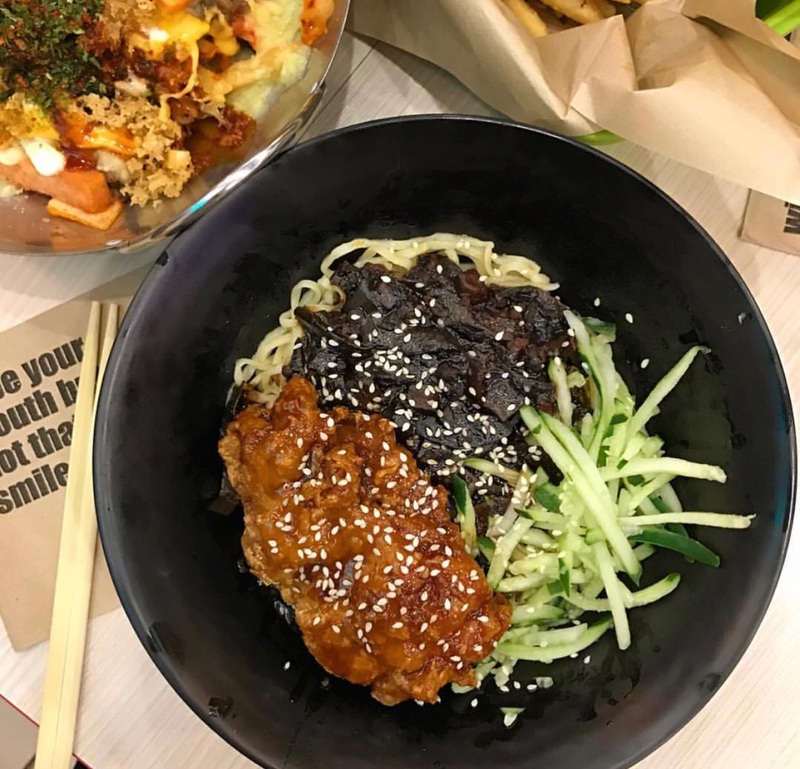 JAJANGMYEON – Korean noodles with fried chicken! Come here if you want to shop! It’s home to a zillion stores and you’re bound to find something. 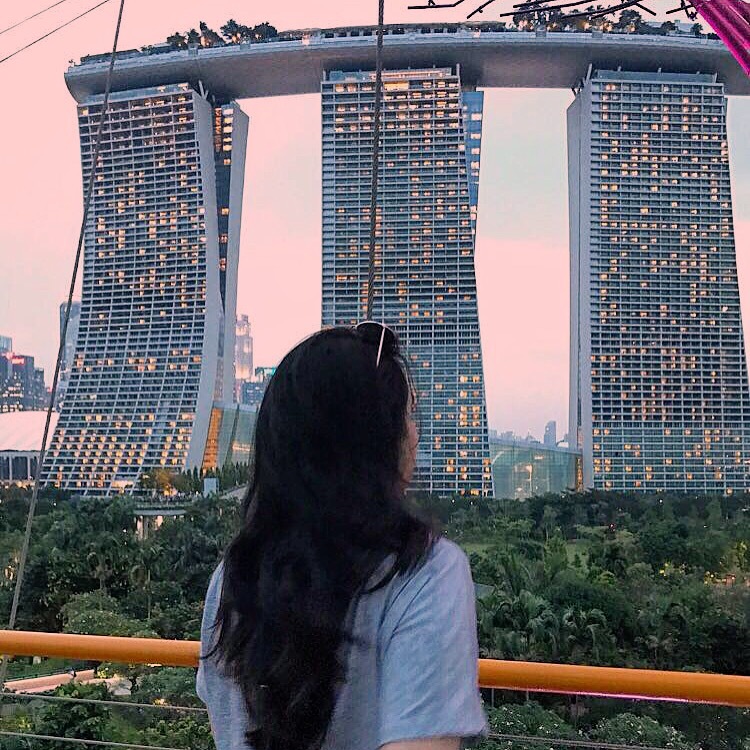 Singapore was amazing and is a place I would definitely return too! We only spent 3 days there which was enough to see everything. Next time I’d come back just to relax, explore further and eat more of their amazing food! Did you not go to Serangoon Road or the famous Mustafa dept store situated in little India . You should also try the fish head curry and eat at the hawker stalls in Tekah market. NO We didn’t get time!! But thanks for letting me know – I will save it for next time! YAY 😀 I’m glad you do! Did you also get a chance to go to Singapore zoo?…it’s one of the best zoos i went too and they have Orangutans!